And you thought that murderous horse was creepy. - Denverite, the Denver site! And you thought that murderous horse was creepy. If you have an intense fear of objects with lots of little holes, you’re probably not going to be crazy about the new art at Denver International Airport. May. 23, 2016, 4:19 p.m.
Acumulo. Courtesy of Denver International Airport. Travelers through Denver International Airport who have become jaded to the scarlet gaze of Blue Mustang can now experience a different kind of horror. 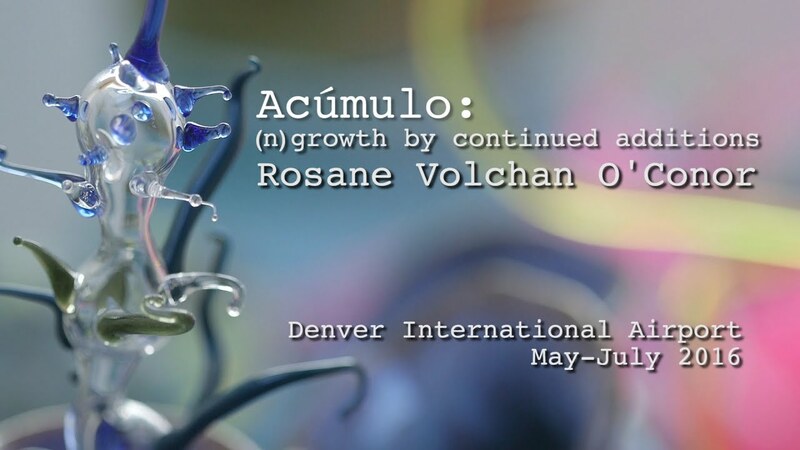 Acúmulo, a new exhibit from Brazilian artist Rosane Volchan O’Conor, uses industrial materials to explore the world of paramecium, spores and neurons. The experiential exhibit, created for the airport, is on display now through the end of July on the west side of level 5 of the Jeppesen Terminal, near the north security screening area. Acúmulo. Courtesy of Denver International Airport. But just as the mustang has its fans and admirers, there are those who will share O’Conor’s fascination with this unseen world. It’s beautiful in its way.